As we have mentioned before, BMO Capital market conference is the very good place to pitch Los Azules Copper project for Rob McEwen. BMO is hired by McEwen Mining to market the Sale of Los Azules. Any development on this front will be the Catalyst for McEwen Mining and TNR Gold turn-arounds from the recent heavily oversold levels. We think that journalist is off on numbers a little bit, required capitalisation to join S&P 500 is 4 billion as per our research and Rob McEwen was talking about 5 billion in his recent video interview with TFNN.com. "In relation to total market cap of MUX even with additional 50% discount on "Argentina circumstances" gives you an astonishing leverage of at least 370 mil potential Sale value for Los Azules in comparison to 754.8 million market cap of McEwen Mining. Another benchmarking point could be Lumina Copper valuation with, as well depressed, market cap of 379 million dollars as of this Friday. New High Grade Copper Intersections from TNR Gold's Northern Part, released Valuation of Los Azules and any hint about potential buyers kicking the tires from BMO can ignite the next rally in McEwen Mining." McEwen Mining presentation BMO Capital Markets. 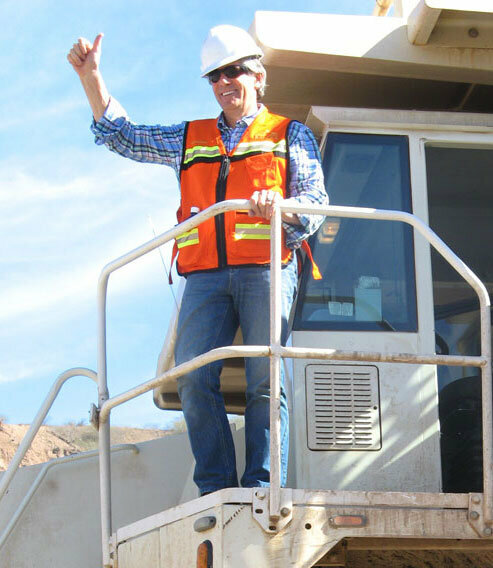 (Kitco News) - Longtime mining executive Rob McEwen looks for the price of gold to keep rising with the debt of Western nations. Meanwhile, his own company, McEwen Mining (MUX), is aiming to begin construction on the El Gallo 2 mine in Mexico later this year, McEwen said. The company is in the permit process. It is also working to secure the necessary financing, considering alternatives such as a joint venture or sale of its copper projects, McEwen said. He outlined his views on the gold market and provided a status report on his still-young company during the 2013 BMO Global Metals and Mining conference taking place this week in Florida. McEwen Mining was formed in January 2012 through a merger between Minera Andes Inc. and US Gold Corp. Minera Andes had a cash flow from a 49% passive ownership in the San Jose Mine in Argentina, while US Gold had a development pipeline of projects. McEwen owns 25% of the shares and works for no salary in trying to build the company. He was the founder and former chief executive of Goldcorp. He spent the first several minutes of his presentation outlining his views on the gold market itself. The biggest driver is likely to be the continued creation of debt by governments, the CEO said. While he said debt is occurring throughout the Western world and are not isolated to any one country, he cited the U.S. in particular. “It’s now in excess of $16 trillion,” he said. He displayed a chart showing the price of gold has climbed since 2002 as the U.S. deficit did likewise. The metal consolidated for a while back around 2008-09, as it is now, before resuming its upward path. And, McEwen continued, stimulus measures are likely to continue in North America and Europe. The CEO said he still believes gold will eventually hit $5,000 an ounce. He sees equities as “historically cheap” relative to the price of gold, losing their premium to gold since around 2008-09. Some of this may be investors instead moving into exchange-traded products for gold exposure, but he also cited factors such as capital-expenditure over-runs in the industry. 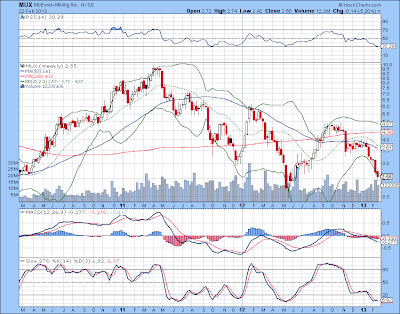 The CEO said he sees gold stocks as “oversold” at the moment. “It’s cheaper to buy gold in the ground than it is to buy it in a vault today,” he added. As for his current company, McEwen Mining commissioned the El Gallo 1 mine in Mexico last month and hopes to begin construction in the third quarter of this year on El Gallo 2. Construction will take around a year and the cost is estimated at $180 million, McEwen said. The company would have to raise some $100 million to $110 million. 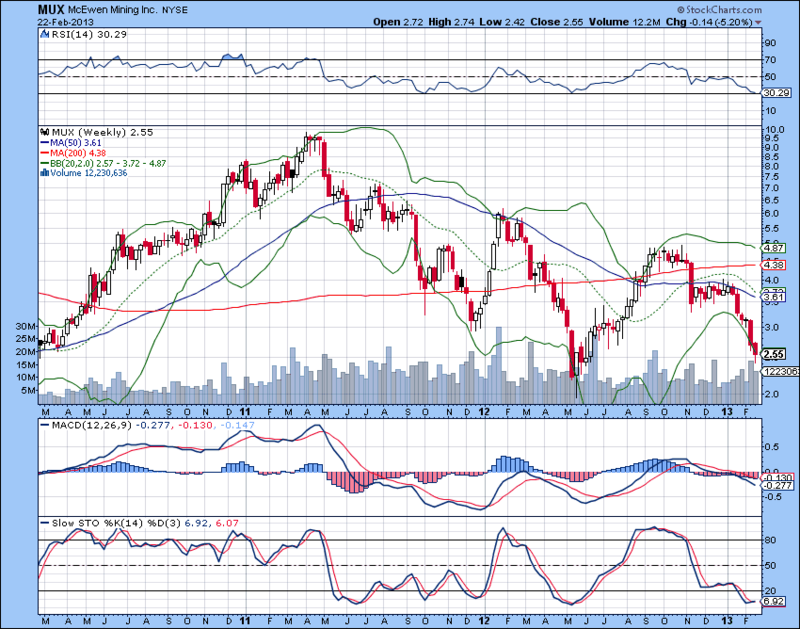 McEwen Mining is also in the permit process for its Gold Bar project in Nevada, hoping to begin construction in 2014. “So we’re going from 100,000 ounces of gold and gold-equivalent to 300,000 ounces by the end of 2015,” McEwen said. The company announced last month that full-year 2012 output was 105,050 gold-equivalent ounces, with production in 2013 forecast to grow by 24% to 130,000 gold-equivalent ounces. McEwen said the company has a large resource base of 7 million ounces of gold, 230 million ounces of silver and 18.5 billion pounds of copper, the latter through the Los Azules copper project in Argentina. He said the company has no debt and $65 million in the bank. The CEO reiterated the still-young company has a goal of qualifying for inclusion in the S&P 500 index in 2015, pointing out that more than $1 trillion is invested by index funds in the S&P 500 but there is only one gold stock currently. McEwen Mining has met five of the seven criteria and is working toward the remaining two -- $1 billion of market capitalization and four consecutive quarters of earnings, the CEO reported. By Allen Sykora of Kitco News; asykora@kitco.com"
Lomiko has gained some very important industry media traction with its latest move securing the strategic alliance with Graphene Laboratories. Market has responded to the deal very positively and has sold off lately in line with all junior miners Capitulation stage, as we believe it here. Company now is very well positioned to explore the vertical integration of its Graphite project into the very promising Entry into the Graphene market potentially. The only thing missing is the strong Chinese or Japanese company as a strategic partner for Lomiko Metals with the deep pockets to develop the Quatre Milles and now Lomiko Metals has a very interesting proposition for such potential strategic partner. Lomiko Metals represents now not only the Quatre Mills property with "open pit mining potential", but a smooth access to the fast developing Western Graphene market via its alliance with Graphene Labs. As you can see from the article below, Paul Gill from Lomiko Metals is on par with Graphite Development industry "heavy hitters" like Focus Graphite. Focus Graphite with its market cap of 67 million dollars represent the completely different universe compare to Lomiko Metals market cap of 3.3 million. Access to the capital will be crucial for Lomiko now. What we like here is that Paul Gill is acting very fast and in line with even much stronger players in the sector. He has the promising Graphite property and Graphene market Entry now packaged together - his available choices for capital has expanded dramatically and he can be lucky not only depend only on the state of the junior mining exploration market which is pronounced dead by many. 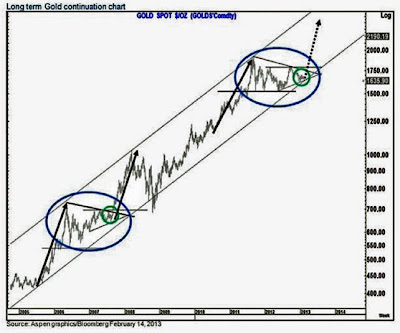 We like the chart above from Jordan Roy-Byme and his "Time To Buy Precious Metals Now. We are looking for a turn-around in Gold and Junior Miners in Gold, Copper, Lithium and Graphite here. They are all priced now for the "End of the World" again as in 2008. With QE not going away any time soon we think that the real messages are coming from China, who are securing the Strategic Supply of materials for the New Economy in the 21st century. They are controlling REE market already, Breaking the Oligopoly in Lithium production, close to controlling Lithium Materials space and Graphene applications will be next. Should our junior mining market turn-around materialise with all other considerations above, Lomiko will represent a very leveraged play in the New Materials market place with applications stretching from Electric Cars with Lithium Batteries to Wind and Solar Power and to mobile devices with flexible displays. Next things we will be monitoring for catalyst in this particular play are access to the capital and our awaited turn-around in juniors. Call the company, make your own DD and talk to Paul Gill to make your own opinion, as usual. Interviews below will be the good start. 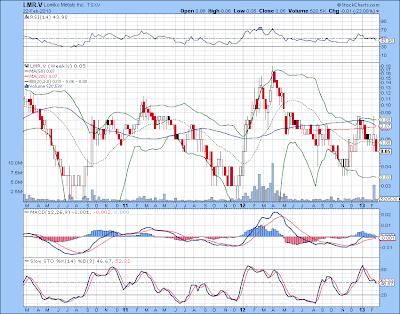 The Wall Street Analyst Interview with Paul Gill - CEO of Lomiko Metals. 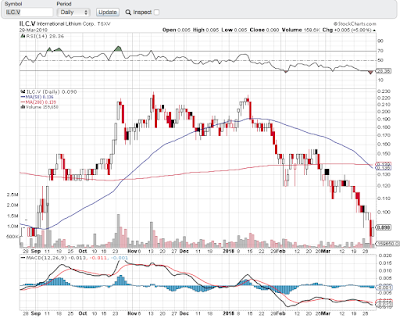 "Interesting...now the Mr Market reaction will be next... And it was very impressive: Lomiko Metals was up 45.5% on the very respectable volume of 2.7 million shares. Now the follow through on this Volume Buy signal will be very important. Lomiko is cutting to the chase and moving forward with REE and other special markets approach - you can build this business only if you are integrated into the Demand side of it." "We like small companies in the Big Trends. It is the very risky proposition, but potential reward can justify it. We have our Big Trend - Energy Transition and Strategic Commodities to make it happen: Lithium and Graphite. We are investing here in the companies who can make it happen." Dr Elena Polyakova, CEO of Graphene Laboratories. "Nobody likes to ride the roller coaster which you see on the chart above. 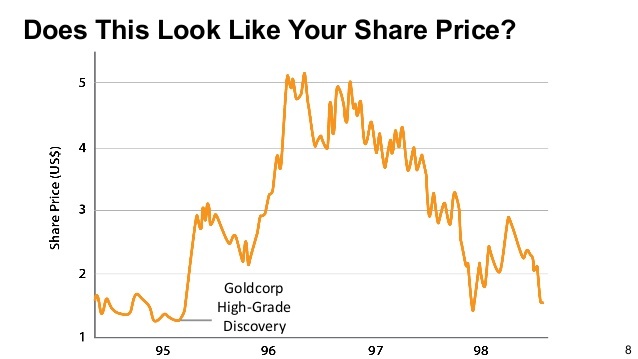 Nobody loves Gold any more, "economy is improving", "there is no place for Gold in expanding economic phase" and All Junior Miners are Slaughtered. We have the perfect set up for the new Bull Leg up in Gold and, particularly, in junior miners. Not everybody will survive, only those who have real assets, teams and shareholders backing them will prosper again." A trader jumped into an enormous number of out-of-the-money calls in gold miners right before the session closed yesterday. optionMONSTER's Heat Seeker system shows that the three largest option prints of the day came in the final 3 minutes of trade in three names. A trader bought 250,000 January 90 calls in Barrick Gold for their ask price of $0.07. 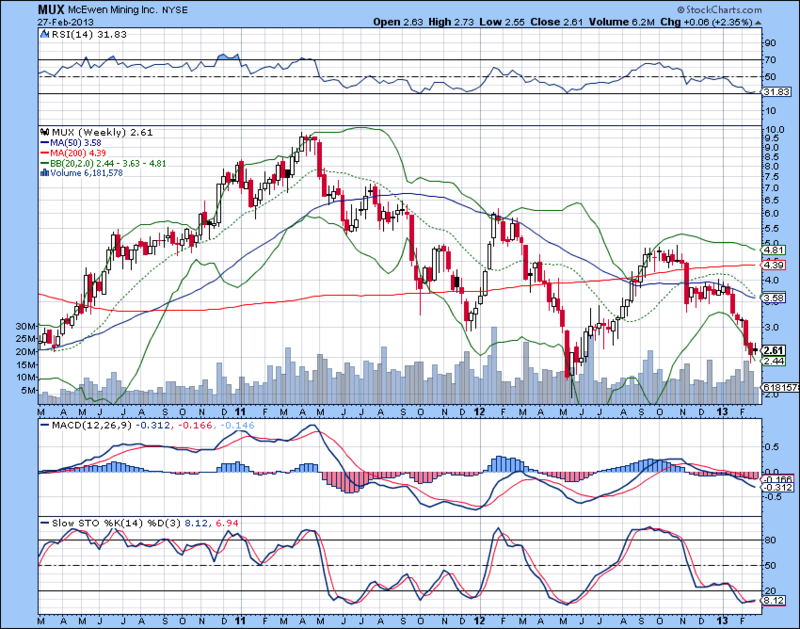 A minute later, he or she bought 156,312 January 80 calls in Goldcorp for the ask price of $0.10. And a minute after that, the same trader purchased 200,000 January 90 calls in Newmont Mining for their ask price $0.10. Shares of all three names fell sharply yesterday, with ABX and GG down just under 4 percent and NEM down 5.45 percent. ABX and NEM hit new 52-week lows, while GG was just above July levels. The all-time highs for these stocks came in the fourth quarter of 2011, with ABX and GG around $56 while NEM was just over $72. It would be a vast understatement to call this an unusual option trade. I have never seen anything like it. " Nobody likes to ride the roller coaster which you see on the chart above. Nobody loves Gold any more, "economy is improving", "there is no place for Gold in expanding economic phase" and All Junior Miners are Slaughtered. We have the perfect set up for the new Bull Leg up in Gold and, particularly, in junior miners. 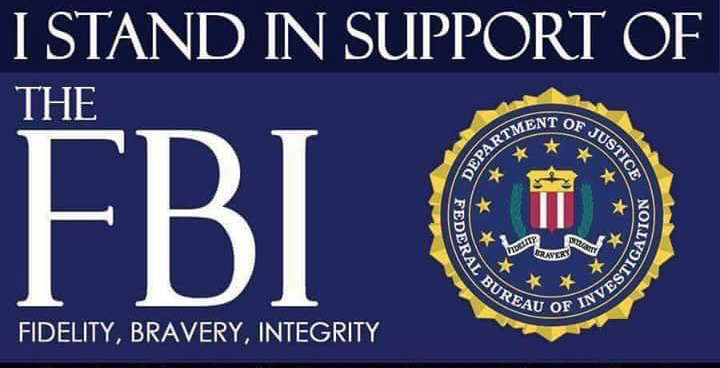 Not everybody will survive, only those who have real assets, teams and shareholders backing them will prosper again. We are following McEwen Mining and TNR Gold story for a long time, we call what we think is right and what is wrong and it is only our opinion, as usual. Nobody can suspect us in the particular blind love to Rob McEwen. All the perceived by us negatives has brought McEwen Mining to the levels where it is at the moment and now it is the time for Rob McEwen to shine again. 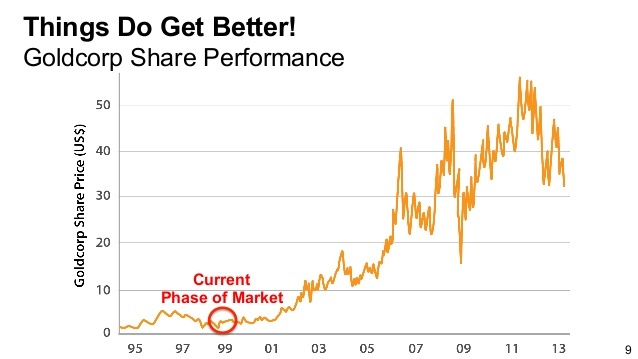 It is always a probability game, we will just share our logic: why we think he can produce the most impressive turn around in the Gold Miners market place now. The main reason for our Call is that Rob McEwen has his own skin in this game and even more: His Name is all over it. Shorts should rethink their positions twice over this weekend. They will be fried at some point and 29 million shares sold Short will provide the fuel for the fireworks in McEwen Mining. TNR Gold will be pulled up as well with any positive development in McEwen Mining and Los Azules particularly. 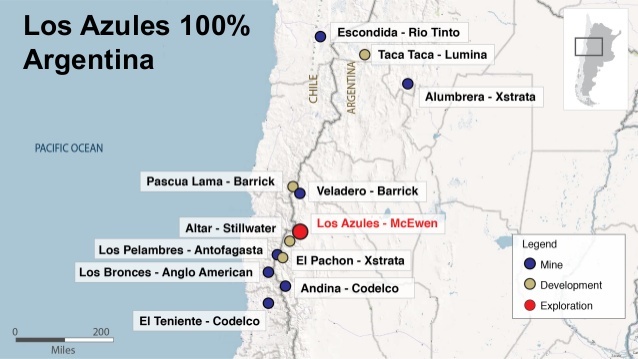 The things, as we see it, should bring out the New Valuation report on McEwen Mining in the nearest future, including the valuation of Los Azules. The project now contains 18.5 billion pounds of Copper. The latest transaction with Copper assets in Argentina was done by Stillwater Mining buying Altar deposit located within 50 km from Los Azules. It was the same country risk, at the similar altitude and within other similar conditions. That transaction was valued at around 0.04 dollars per pound of copper in the ground. This benchmarking valuation will bring Los Azules value to 740 million dollars. Now you can slice it and dice it and analysts and the market will do it, but the magnitude of this asset is there. Ongoing review of the Glaciers issues will be another point for catalyst. Barrick's Pascua Lama has received the "clean bill of health" in the end of January and, even more important, the support of San Juan government for its development. Now the contract for the final stage of the mining construction is announced and Barrick is "pushing ahead with Pascua Lama." The most important project development will be with the ongoing drilling on TNR Gold's part of the project - where the high grade core is located. This area has become available after the announced Settlement of Los Azules litigation on November 12, 2012 and the drilling should be well underway there by now. The latest very impressive results were reported just next to it. We can expect that intersections from drilling further North will be even more impressive and this deposit will grow further. Why is it so important? At the moment of writing total market cap of McEwen Mining is 754.8 million (296 million Common and Exchangeable shares at 2.55 closing price). Other people will describe for you the value attributed to other assets of McEwen Mining much better than us, we will just point out to you the magnitude of Los Azules potential valuation one more time. In relation to total market cap of MUX even with additional 50% discount on "Argentina circumstances" gives you an astonishing leverage of at least 370 mil potential Sale value for Los Azules in comparison to 754.8 million market cap of McEwen Mining. Another benchmarking point could be Lumina Copper valuation with, as well depressed, market cap of 379 million dollars as of this Friday. New High Grade Copper Intersections from TNR Gold's Northern Part, released Valuation of Los Azules and any hint about potential buyers kicking the tires from BMO can ignite the next rally in McEwen Mining. BMO Capital Markets welcomes more than 1400 institutional and industry professionals and more than 250 companies representing 25 countries from six continents. Update FEB 25, 2013. 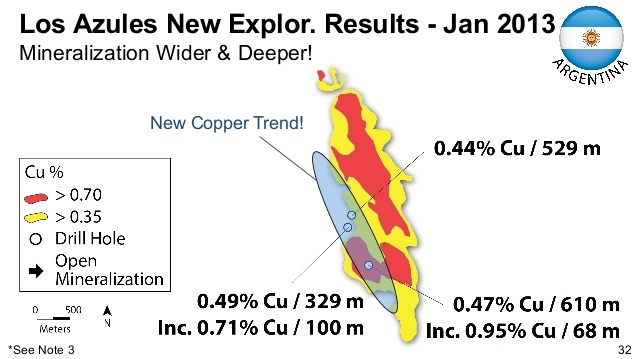 Latest from Rob McEwen himself, please note Lumina Copper and McEWen Mining comparison. "Here where Rob McEwen will be coming at his prime as promoter - running against the clock for his goal to qualify for S&P 500 by 2015 he has the last opportunity to turn this story around. 70 million in cash will not buy the place in S&P 500 by itself or even the Second Stage at El Galo, but it will be enough for the "Chief Owner" to fight for his company. 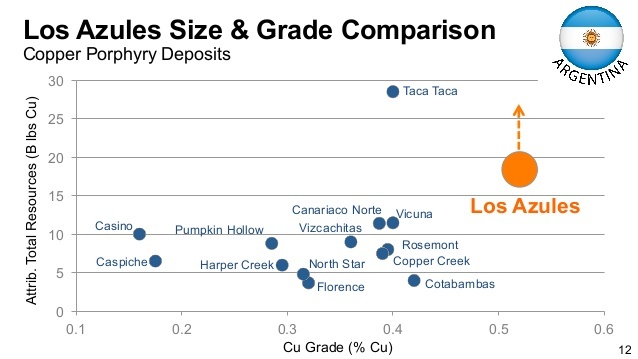 Research valuations of McEwen Mining, including the Los Azules valuation will draw the market attention and any hint about the potential buyers for this world class copper asset can make Shorts rushing to cover." 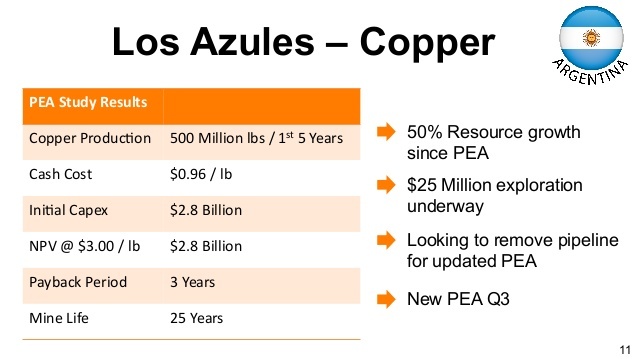 "We can have a new interesting kicker to our developing story on Los Azules Copper. 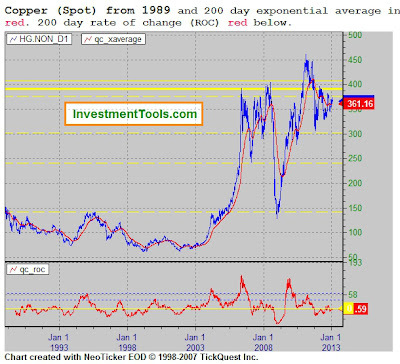 In case if Housing rebound in US is for real Copper can be making new highs this year. Another very important observation is the introduction of the Copper ETF - with all ETF introduced we have seen the rise of the underlining commodity. It was true for Gold and it was true for Silver. 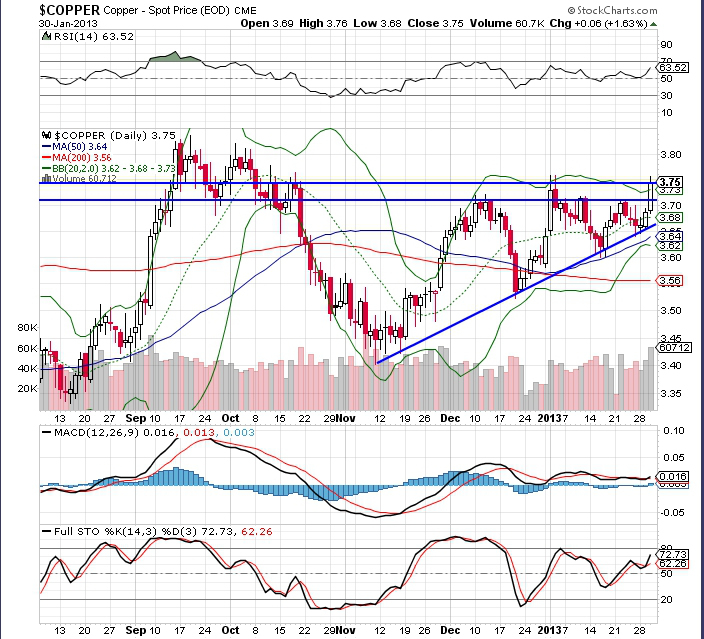 Copper ETF will allow the very easy trade in Copper for the main stream investors and in case of its success it will bring additional buying in the Copper market." 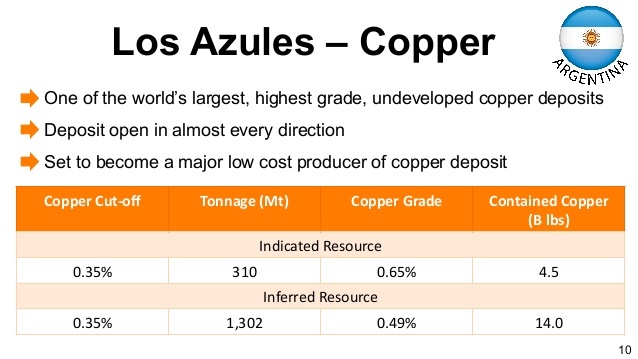 "Now there is a truly elephant copper discovery in the making with 18.4 billion lb of Copper reported in all resource categories at Los Azules. We can expect very aggressive push from McEwen Mining to market Los Azules and, hopefully, newly discovered mineralised trend and mineralisation at depth will bring this deposit even higher in its world wide ranking." I had the opportunity yesterday to speak with legendary founder and former CEO of GoldCorp, Rob McEwen. He is now the CEO, Chairman, and largest shareholder of McEwen Mining. It was a powerful conversation, as Mr. McEwen spoke to why so many miners are failing to deliver returns to shareholders, the “illusory” strength of the post-presidential election economy, and his thoughts on gold and silver going forward. This was another outstanding interview with one of the greatest wealth-builders of our time. It is an absolute “must-listen” for serious investors and market students. "Well done Elon! And fast reaction from CNN to get the spotlight. Tesla gets a Storm of great publicity, you can not just Lie in this day and age with Data logging your every step. If you are still surprised what is going on - welcome to Energy Transition of the 21st century." We would like to share another view on the Gold market and ongoing Currency Wars, this time it is Peter Schiff. "We are in transition stage now from Gold as Insurance Play to the Inflation Play. The real driver for the Gold price is increasing monetary base, debasing of the currencies and negative Real rates. Our best gains in Gold and, particularly, Gold Equities we had after 2002, when economy was "recovering" and FED was solidly behind the interest Curve." We can have a new interesting kicker to our developing story on Los Azules Copper. In case if Housing rebound in US is for real Copper can be making new highs this year. Another very important observation is the introduction of the Copper ETF - with all ETF introduced we have seen the rise of the underlining commodity. It was true for Gold and it was true for Silver. Copper ETF will allow the very easy trade in Copper for the main stream investors and in case of its success it will bring additional buying in the Copper market. Copper prices are on their way to $4 per pound, and in a perfect global macroeconomic environment may even hit $5 per pound by the end of the year. 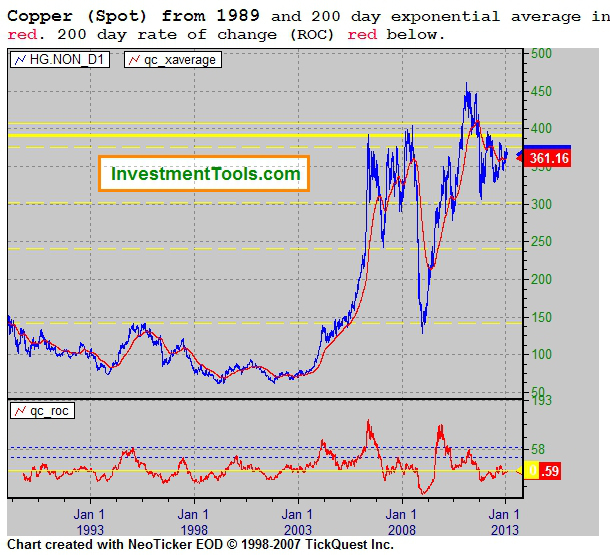 During the third quarter of 2012, copper prices started seeing some major action on the upside. In early September, strong manufacturing numbers coming out of China and India helped push copper prices from $3.40 per pound to above $3.80 in a matter of weeks. However, bearish signs from Europe and the United States put a lid on prices and the rally began to sputter, pushing copper back to the $3.50 range in the early stages of the fourth quarter. Specifically, traders worried that a breakdown in the Eurozone would wreak havoc around the world, slow manufacturing and have a severe economic impact in many of the world’s key regions. As a result, the rally that began in September and was on its way towards $4 a pound faltered. But the doomsday scenario that some traders expected never came, and copper remained above the $3.50 mark throughout the fourth quarter of 2012. As the new year begins, the outlook for the red metal is looking very positive. As of right now, prices are sitting at $3.78, just shy of the previous high of $3.80. In fact, based on fundamental market analysis, the Commodity Investor believes that prices may even hit $4 a pound in the months ahead. The biggest drivers in the copper market are Chinese construction and manufacturing. China accounts for more than 40 percent of global copper consumption, the bulk of which is used by the Chinese for building and manufacturing purposes. The Chinese import their copper ore primarily from countries in Latin America, such as Chile, Peru and Mexico (Latin America accounts for over half of Chinese copper imports). The rest is sourced from countries around the world, including the United States and Australia. The United States is actually the largest exporter of copper scrap to China (copper scrap is slightly cheaper than copper ore). On the supply side, the market for copper ore is very tight — so much so that the market for copper scrap is actually booming. Companies that gather and sell copper scrap to the Chinese are printing money. The fact that the Chinese are now increasing their purchases of scrap metal is a strong indication of how tight the market for ore actually is. Chile, the largest producer of copper globally, has made significant investments to boost capacity. But even with the billions the country and its mining industry have spent to boost production capacity over the last several years, production rates are only increasing nominally. Demand-wise, the Commodity Investor expects that Chinese demand for the red metal will increase by another 5 percent this year. That will come on the back of very robust manufacturing numbers and the continued expansion of the country’s urbanization. The domestic construction industry is continuously placing large orders for copper and the other base metals required to complete developments. Don’t forget that copper is used for electrical wiring, so any building or house that’s built will need to be outfitted with copper wiring. As discussed in the section above, supply on a global basis is fairly limited, while demand from the world’s largest consumer is robust and should continue to grow in the years ahead; there is thus a solid base from which copper prices can rally in the near future. In addition, the United States, specifically the US housing and construction industries, is a major copper market driver. Up until 2001, the United States was the largest consumer of copper in the world. It lost that title to China when the Asian country entered a multi-year economic expansion. That said, the United States is still a major driver in the copper markets — after China, the US is the biggest consumer of copper globally, accounting for some 20 percent of copper consumption. And news coming out of US housing and manufacturing is starting to look very good. The housing crisis of a few years ago plunged America into one of the most severe economic crises since the Great Depression. Five years after this crisis, US housing is starting to show signs of strength. Housing prices have stabilized and, more importantly, the number of new homes being built is now increasing. In addition, manufacturing has now picked up and the latest numbers for US manufacturing have been excellent. Based on all these factors, the Commodity Investor believes that copper will have a good year. Prices are now near the $4 mark and, if there is a supply shock or very robust activity in either the Chinese or US manufacturing sectors, expect prices to rise towards the $5 mark. However, copper is a volatile metal, so make sure to monitor your position actively. 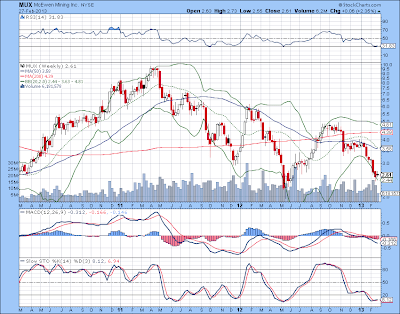 Be on the lookout for the new copper ETF by JPMorgan Chase (NYSE:JPM), the XF Physical Copper Trust. This ETF has been approved by the SEC and should go live very shortly, giving investors the ability to trade copper futures through the convenience of an exchange-traded fund. 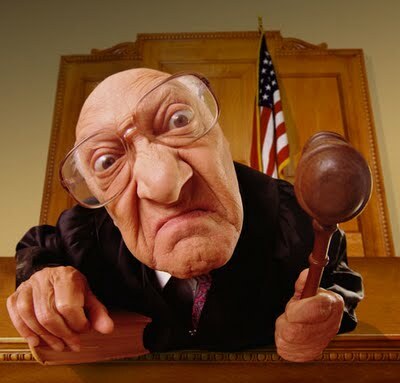 Securities Disclosure: I, Amine Bouchentouf, hold no positions in the stocks mentioned.